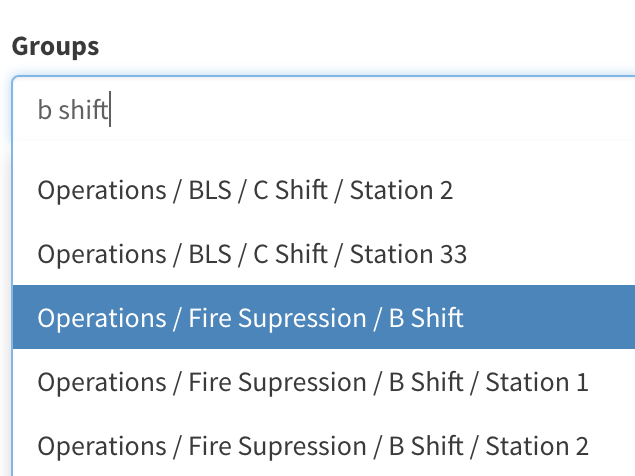 Excel spreadsheets or an all-in-one firehouse software package for tracking training requirements. 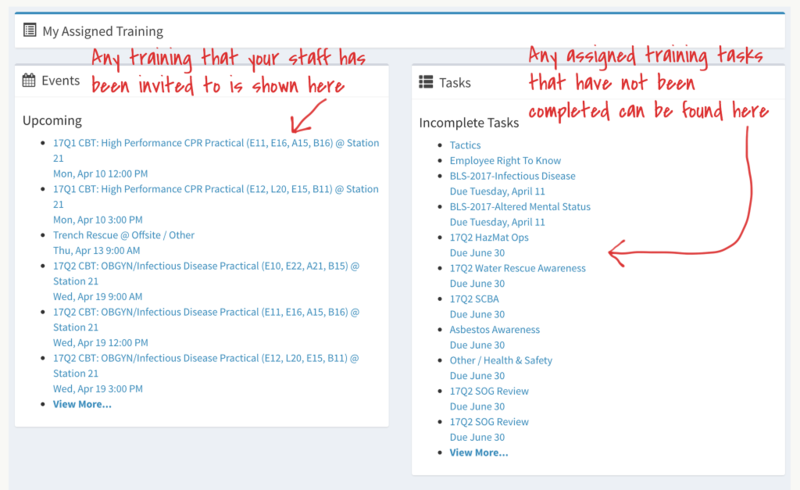 Rescue Hub can help you maintain compliance records by consolidating these different systems into one. Your planning, organizing, delivering, and tracking becomes simpler. Tracking begins when a training officer enters a training requirement into Rescue Hub. 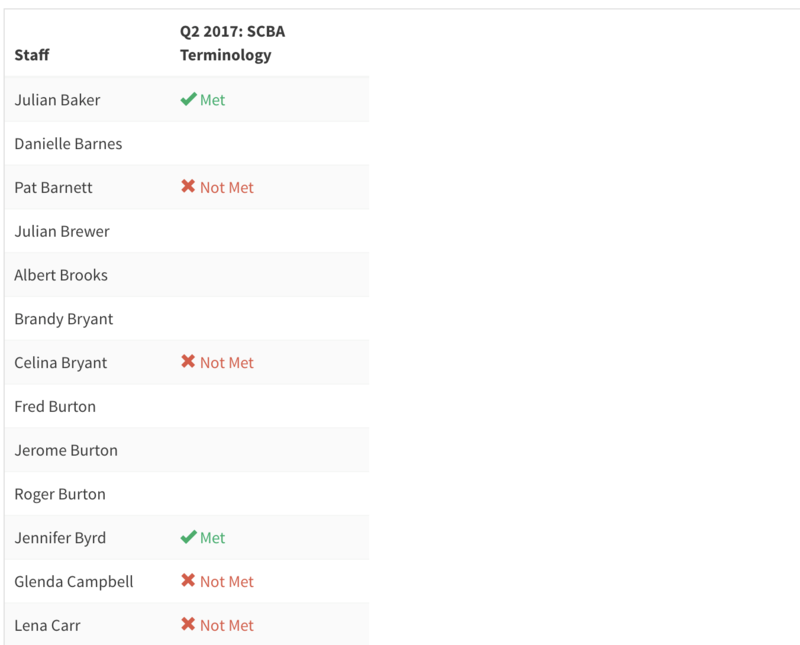 A training requirement describes a particular training activity that must be completed by your personnel, typically something that fulfills a department policy, industry standard, or federal/state/local law. Each requirement describes the number of hours required, along with any related training material needed to complete the task. A training requirement can include any kind of electronic document, like Word documents, PDFs, links to websites, PowerPoint presentations, and video. A training requirement is assigned to one or more groups of people. 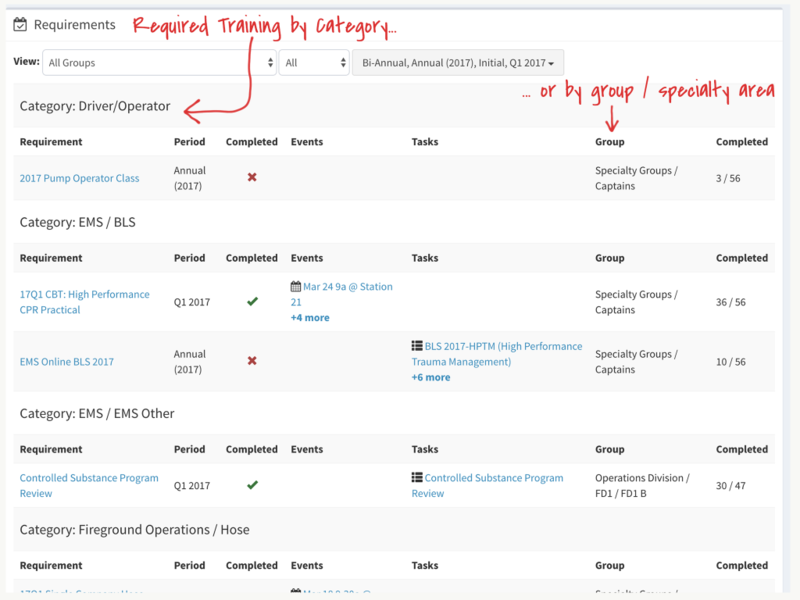 With Rescue Hub’s unique and flexible group structure, you can easily accommodate requirements for all department personnel, or for any specialty area. For scheduled training involving one or more companies, a training officer creates one or more events that fulfill this requirement. 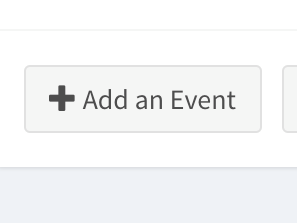 Scheduled training activities are published for all to see on the main training calendar. 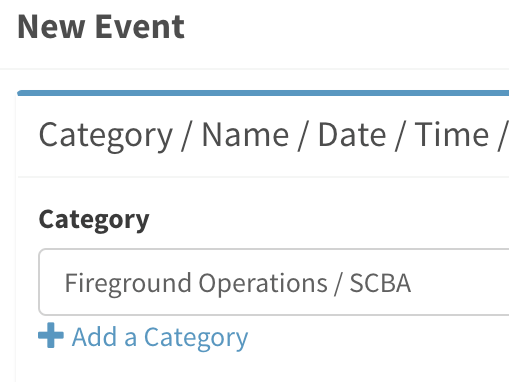 For requirements that can be fulfilled by crews on their own, a company officer creates an event when his/her crew has completed the assigned training. 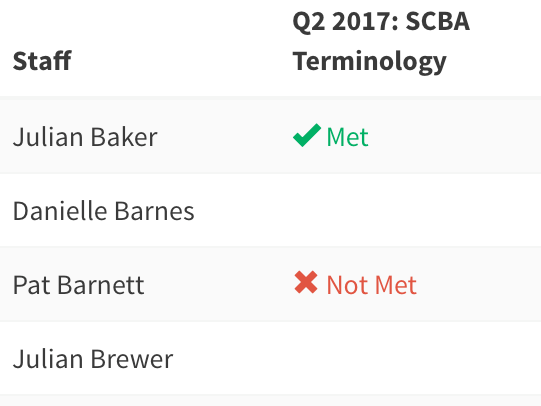 Keeping track of all required training can be hard, especially if you have different requirements for each specialty area. 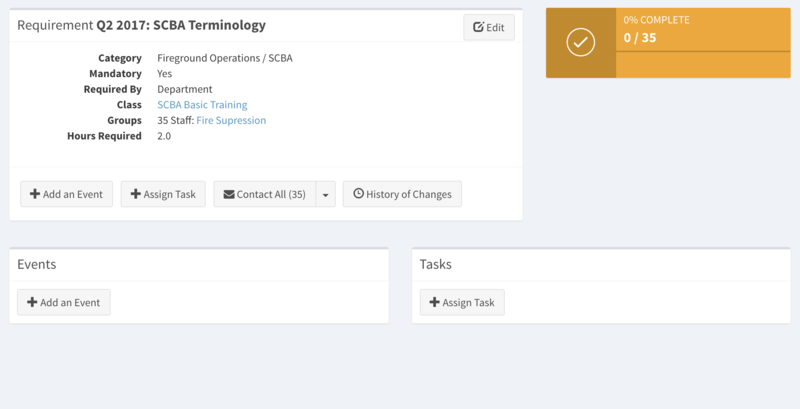 Rescue Hub gives your personnel a “one stop shop” to view all of their training requirements on one page, broken out by type of training, specialty area, or group membership. Your drills can be rostered from your mobile device or any web browser. No more lost paper sign-in sheets. 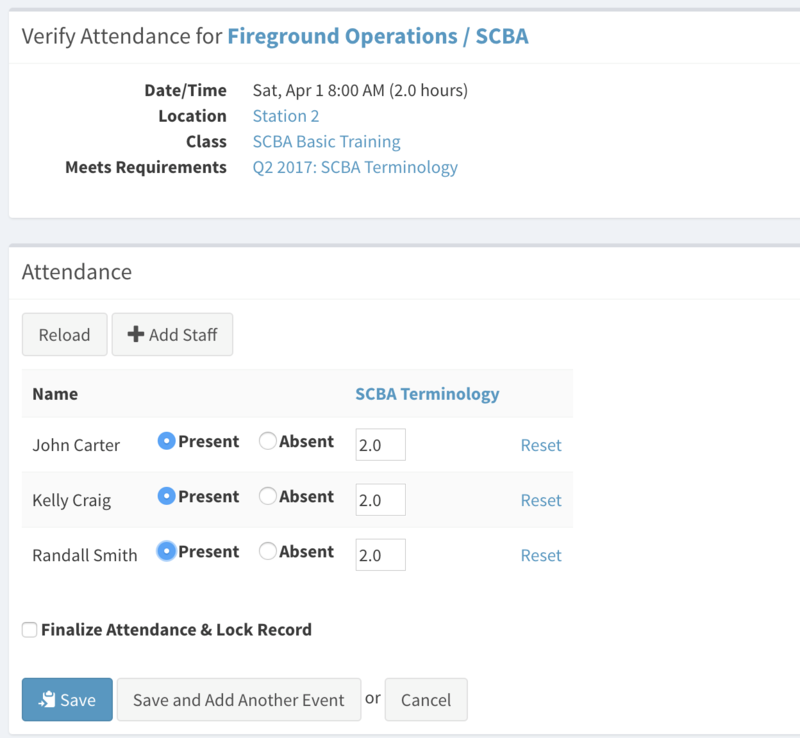 Attendance for each training activity can be verified by a company officer, by the individual attendees, or by a second-level supervisor, or any combination. 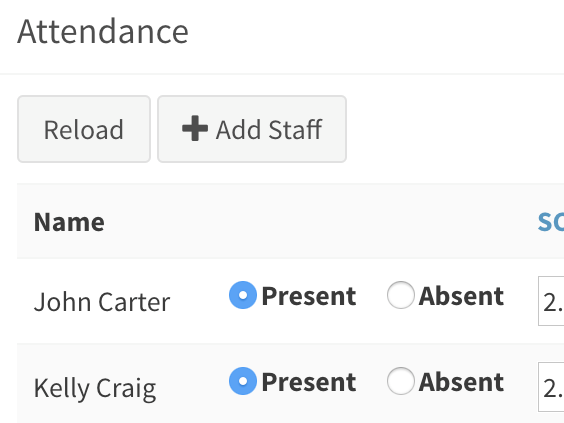 Our reports make it easy to see who has completed each training requirement. 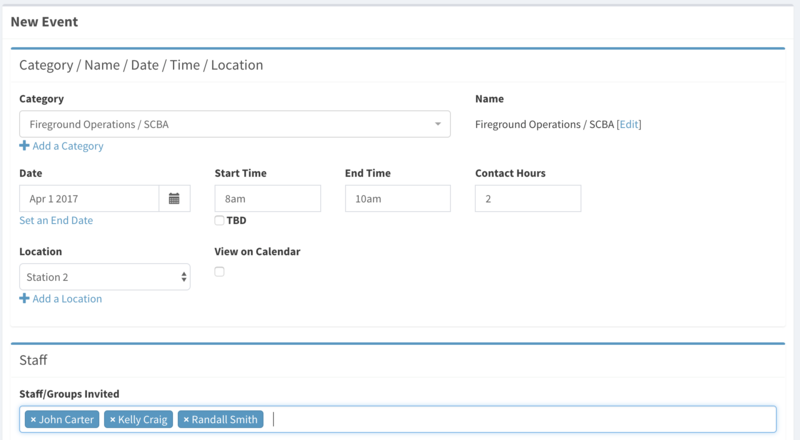 If your personnel have multiple systems they use across your organization, Rescue Hub plays nicely with them. Your personnel won’t need to remember another password… our single-sign-on feature allows your staff to use their email login and password, so they can safely use the same password for Rescue Hub as they do for their email.